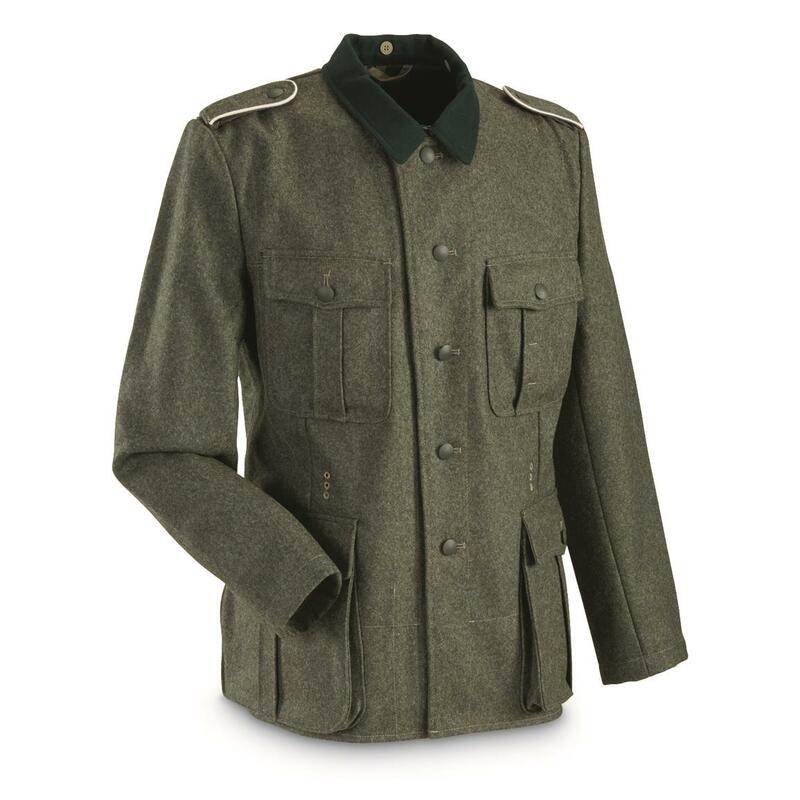 Representation of those worn by the German Army in WWII, originally called WH Feldbluse M36. Excellent quality 70/30 wool/rayon blend will keep up with many reenactments to come. Features bottle-green collar with hook and eye, pleated pockets, belt hook provisions, split cuffs, and first aid dressing pocket. Material: 70/30 wool/rayon. 100% cotton lining. 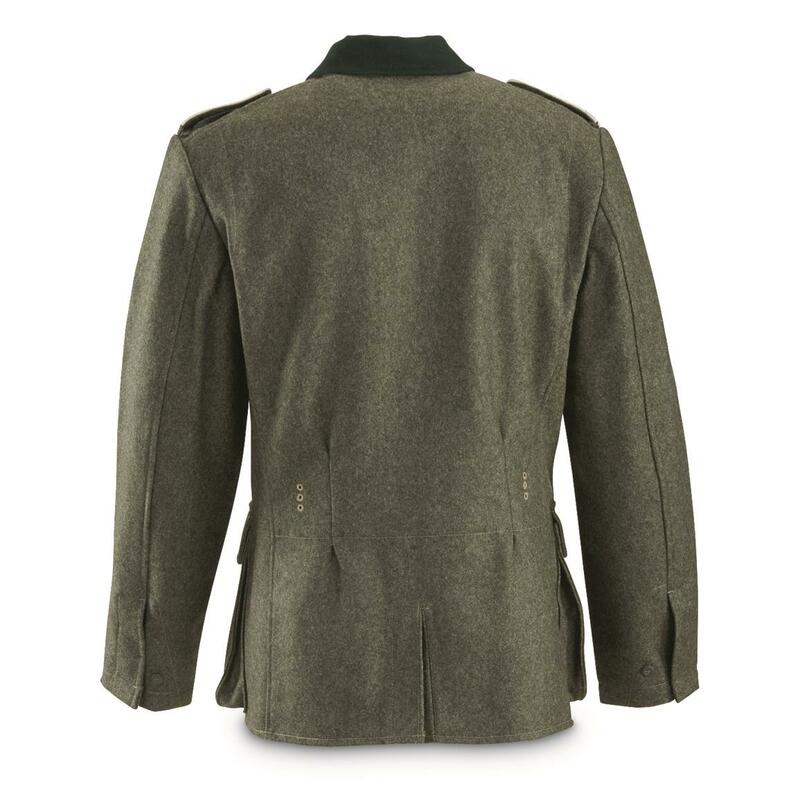 Own a piece of military history. 6 x 5 x 9"h., 2 lbs. As seen flying out of WW2 cargo planes.